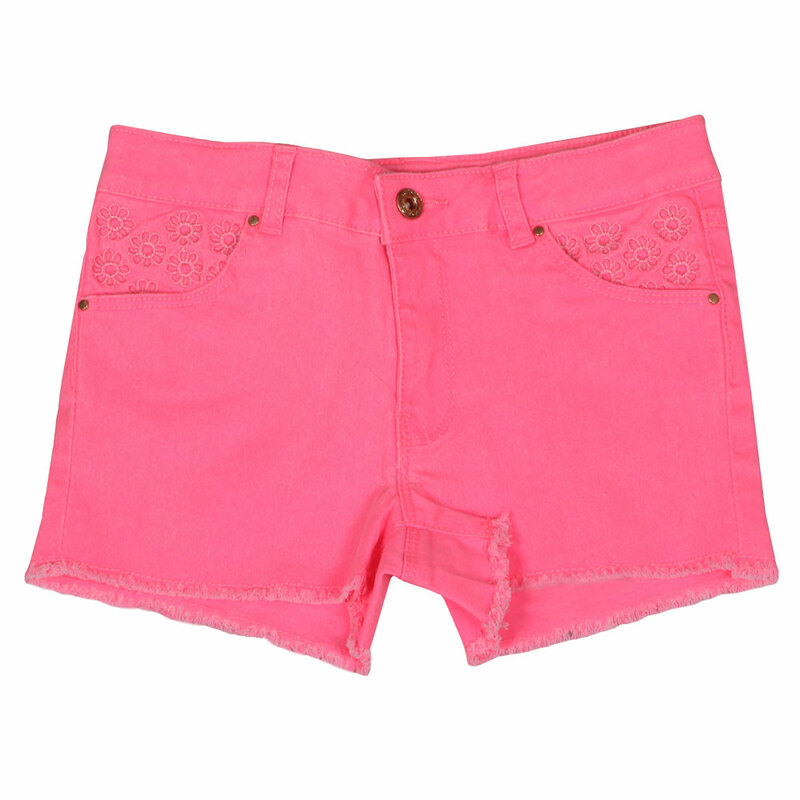 The Billieblush denim Shorts in Fuchsia, a bright short with an embroidered flower pattern on the back of the pockets. Given a zip fly and a gold, shiny button. Finished with a glittery patch on the back with Billieblush branding.